RESCHEDULED!! 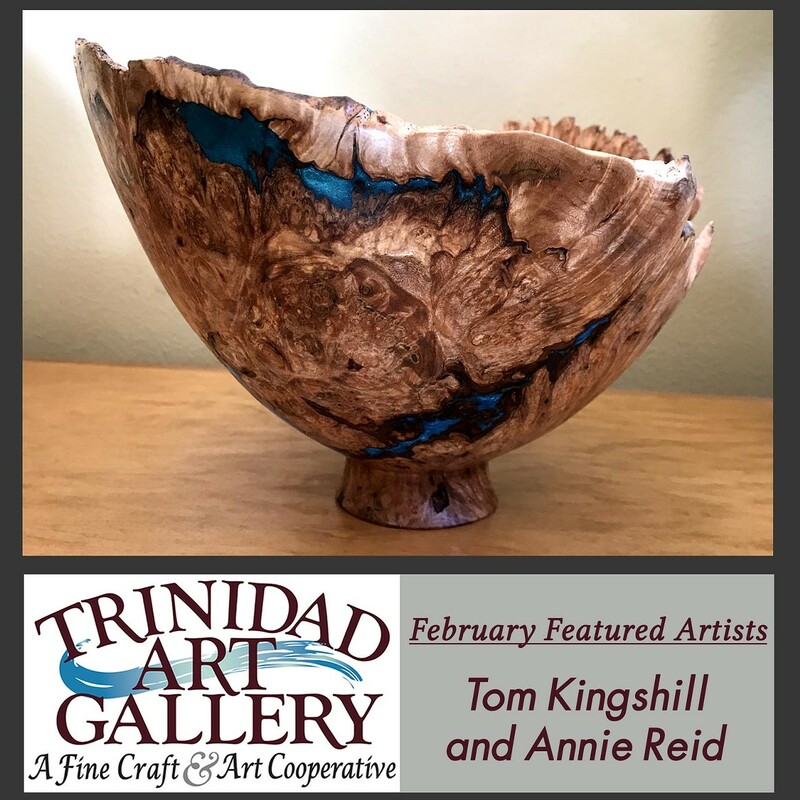 Trinidad Art Gallery is proud to featured members Tom Kingshill and Annie Reid for the month of Feburary, with a celebratory reception on Sunday, February 17, 2019, from 2 p.m. - 5 p.m. Join us for an afternoon of wine, port, cheese, and chocolate. Libations poured will benefit Trinidad Coastal Land Trust. Music by harpist Howdy Emerson from 2 p.m. - 3 p.m. Annie Reid will give a presentation on Monarch Butterflies’ Migration and the artist’s process from 3:20 - 3:45 pm. 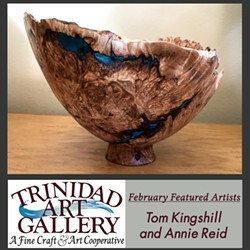 Located at 490 Trinity St, Trinidad, CA.